What is the black dress challenge? With the black dress challenge you will never be more motivated and more accountable than now! Simply purchase a dynamite black dress that you want to fit into and then work hard to do it! 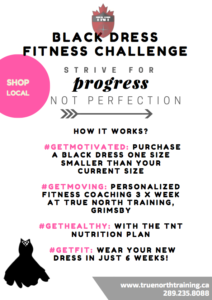 To begin, we are starting out by suggesting you choose a dress size that is one size smaller than what you normally wear right now. 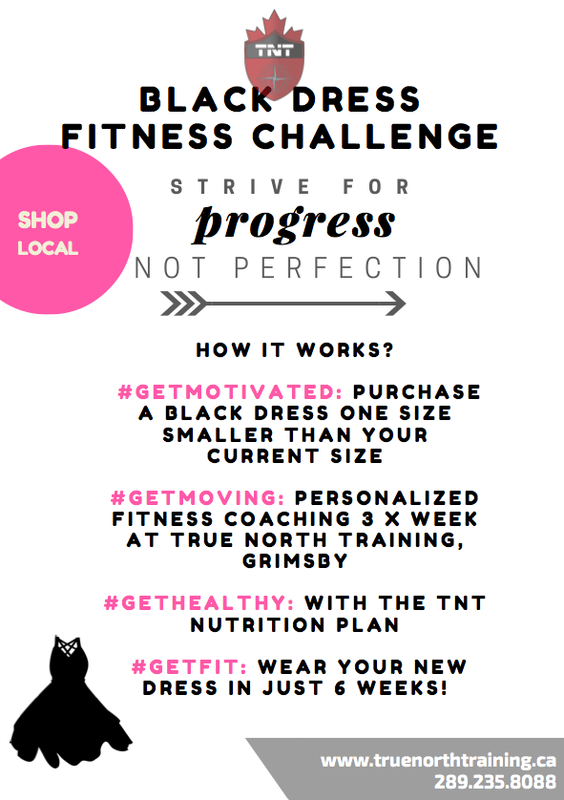 After buying a black dress you will enroll in sessions at True North Training and give your best effort on a daily basis. Remember, it is about progress not perfection. With the help of the trainers at TNT you will stay on track to your goals through bi-weekly check-ins that are sure to keep you accountable to the plan. You will receive a nutrition plan that is sure to help you achieve results, and all you will need to do is follow it. Where & When does it start? 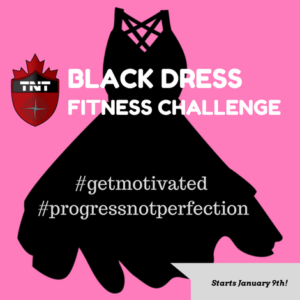 We are suggesting that the Black Dress Fitness challenge starts after January 9th but if you missed the date and still want to challenge yourself THEN DO IT! It truly does not matter when you start, it just matters that you start. All those who are participating are encouraged to shop local at some of the great shops and boutique stores in West Niagara (Grimsby, Beamsville, Smithville) to show their support for the businesses and their hardworking owners.